"Those look a little too healthy for me, Minerva. I don't trust them." "Too bad - eat it. You'll like it." I would say that these tiny morsels are good pops in the mouth for snackage or as a handful for breakfast. 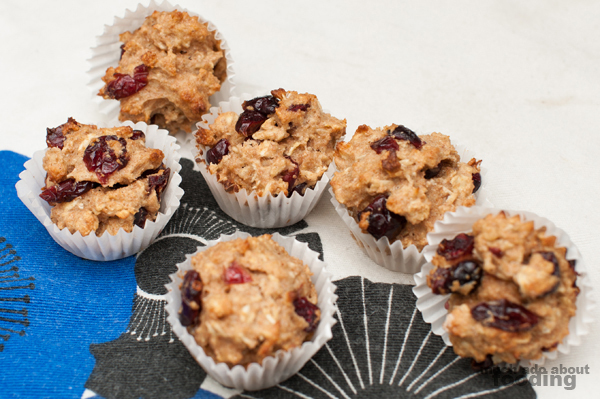 In fact, they could be the perfect intro recipe to young kids to try their hand at baking. After all, it's pretty simple and requires very little thinking. 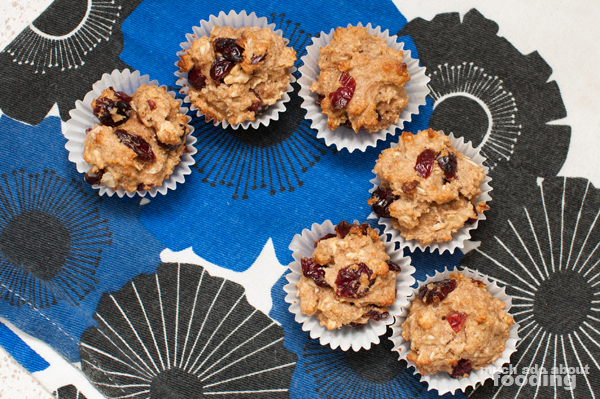 I made these oatmeal cranberry bites to sate an itching I was feeling to bake something since it has been a while. With all of these ingredients already in the pantry, it was an easy sell. I'm not one who likes to go out to buy just one missing ingredient anyway. So yes! These are easy, fun, and tasty - have a whirl at them yourself. Pre-heat oven to 375°F. Line mini muffin tin with liners. 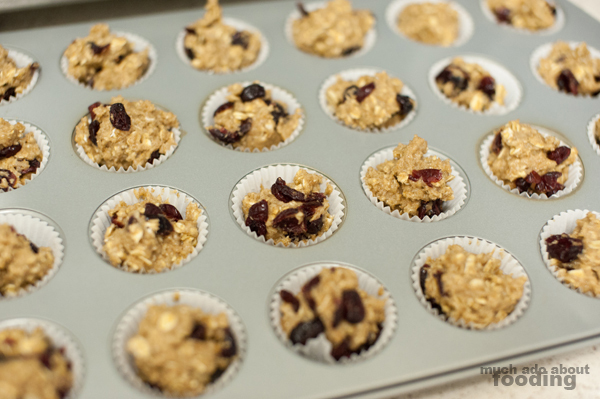 In a large mixing bowl, combine all ingredients together save for the dried cranberries. When read, fold berries in. Fill mini muffin tin. Easy peasy. Bake these for 12 minutes and remove. Let cool before serving!